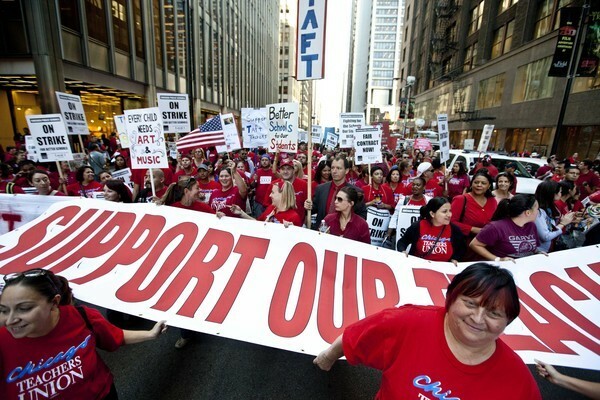 The Chicago Teachers Union: A New Template for Social Justice Unionism? One of the first major protests I can remember attending was outside of the PQ government’s socioeconomic summit in 1996. I was an undergraduate at Concordia and while I definitely understood that this summit represented a threat to social spending, I had no idea of the extent to which this event would be a turning point in the province’s politics. The summit’s so-called consensus on eliminating Quebec’s deficit in 4 years would usher in the deepest cuts to social spending in the province’s history. I’ll never forget the ominous feeling in the crisp fall air outside the summit as evening set and a large effigy of Lucien Bouchard was lit ablaze by protestors, right in the middle of Boulevard René Lévesque. Since then I’ve watched over and over again as neoliberal governments, in Quebec and elsewhere, have thwarted the efforts of public sector workers to defend their working conditions and protect the quality of public services. I began my teaching career at what was unquestionably a low point for union morale amongst Quebec’s teachers. Jean Charest had just legislated the province’s teachers back-to-work with a draconian law that imposed massive sanctions on both teachers and their unions if they continued to strike. The only gains made by teachers in this imposed contract carried a dollar value of roughly the same amount that government had saved in unpaid salaries during the strike. The whole experience understandably left a bitter taste in the mouths of many of my colleagues. In the most recent round of negotiations teachers showed little interest in work action and ultimately voted to accept the contract proposed by government. Meanwhile in Ontario the McGuinty government recently threatened back-to-work legislation before teachers had even announced any intention to go on strike! The heavy handedness just seems to be getting heavier. As a public sector employee and as someone who strongly believes in the power and potential of unions to improve the lives of working people, these have not been the easiest of times. But as heavy handed as various neoliberal governments have been in dealing with teachers and other public sector employees, their attacks in no way represent some kind of permanent defeat. The rise of neoliberalism is however cause for a serious rethink about the way that unions operate. It is a challenge that calls on the labour movement to do what it has always done when historical circumstances have warranted; it calls on the labour movement to adapt! It is for this reason that the recent victory of the Chicago Teachers Union (CTU) is so significant. The CTU found a way to win in a context far worse than that of any teachers unions in Canada. Chicago is renowned as an “incubator” for the corporate education reform agenda that has completely transformed the US education system since the introduction of George Bush’s No Child Left Behind. The push for more standardized testing, merit pay and more union-free semi-private charter schools is not only supported by both parties at the highest levels of federal and state government but is also being pushed aggressively by several extremely well funded foundations supported by the likes of Bill Gates. The fact that this group of teachers was able to stare down such powerful forces and win is a story that needs to be shared with teachers everywhere. So how was the CTU able to fend off this Goliath of corporate education reform that wanted to impose merit pay, standardized lesson plans and an extended work day? In addition the CTU took several measures to open its democratic structures to participation by its rank and file members. It expanded its committee structure, set up action committees in every school and even created a massive negotiating committee of 35 members so as to ensure adequate representation of all constituencies within the union. When it came time to vote on their agreement, the union’s delegate’s assembly voted to extend the strike by two days to ensure that all members had adequate time to understand and discuss the agreement before voting on it. 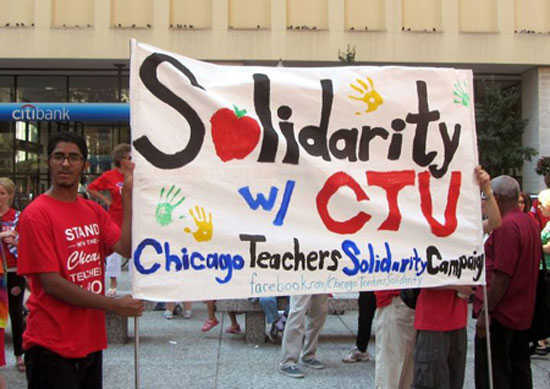 In addition to showing a real commitment to bottom-up grassroots democracy the CTU leadership had also developed strong links within the community through their commitment to social justice activism. Prior to being elected to lead the union, the current CTU leadership was involved in a group called the Caucus of Rank and File Educators (CORE). CORE had developed deep roots in the local community working with parents to oppose school closings. 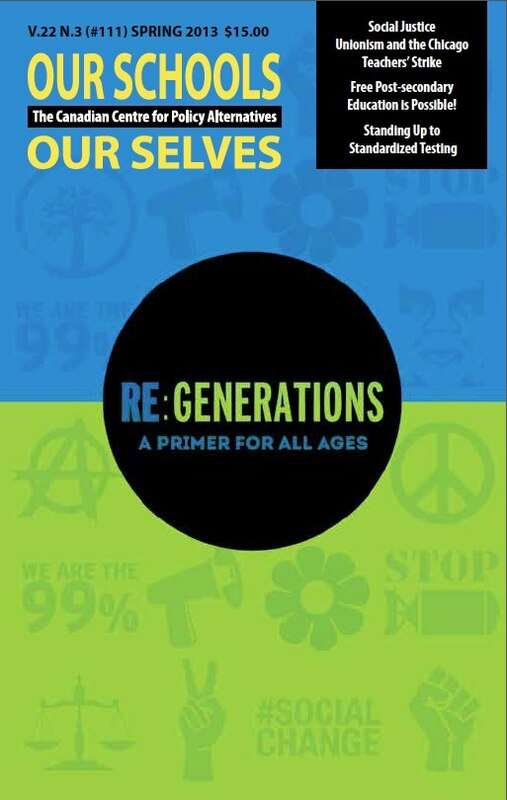 This philosophy of seeing parents as allies was carried over into the CTU which actively recruited parent participation into its school action committees. Thus when it came time to strike there was already a critical mass of parents who understood the issues as they had been involved directly in the discussions leading up to the strike. The level of parent support throughout the strike baffled the corporate media that clearly had difficulty understanding that parents could express sentiments other than outrage at their children’s striking teachers. This solid support was the product of relationships built through the ongoing activism of CTU members well before the negotiations ever took place. The story of the CTU’s recent victory is an incredibly hopeful story because it is the story of a union returning to its raison d’être: the empowerment of working people. It is a story of real solidarity; amongst teachers and between teachers and the wider community. It is a story we all need to consider as we contemplate the question of how to make our own unions more effective in countering the continued attacks on public education by neoliberal politicians.